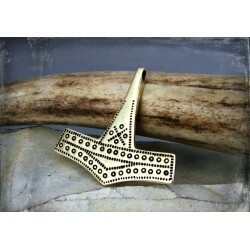 Viking Jewellery Replicas There are 42 products. 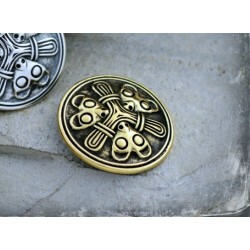 Unique, large and eye-catching Viking cloak pin in sterling silver or bronze - a very faithful replica of archaeological find from Rogaland, Norway, featuring two beasts and Borre style motives. 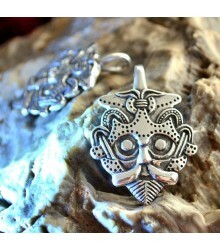 Reproduction of a viking pendant from Gnezdovo (Smolensk, Russia). 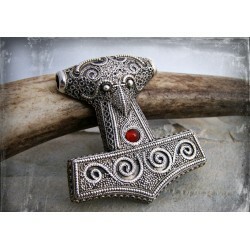 Large and stunning Viking raven-headed Mjollnir pendant, faithful replica of find from Kabbarp in Skåne, Sweden with natural gemstone in the center (amethyst, carnelian or citrine). 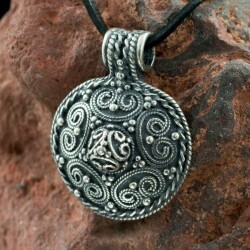 Amazingly detailed, high quality, solid pendant. A small piece of Viking art. Impressive, handmade and solid silver Viking necklace with zoomorphic terminals in two versions: raven or dragon heads.Your favourite Thor's hammer pendant will look so impressive, hanging from this chain. 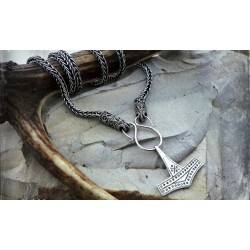 Such a set of Viking chain and pendant is a sign of high status and is a must have for every wealthy warrior or shieldmaiden. 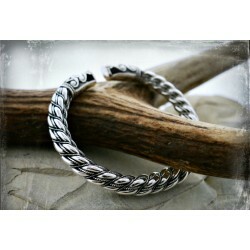 Thick Viking bracelet with large dragon head terminals in bronze or silver. 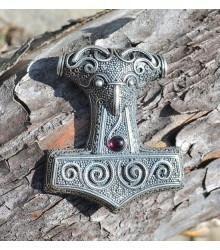 A unique and solid piece of Viking art. This large and solid bronze (or silver, you choose) Thor's hammer pendant is faithful replica of archaeological find discovered near Rømersdal, Bornholm, Denmark. Made with great attention to details, decorated with stamping in the same way, as original find was decorated.